Leave your webbing straps at home. 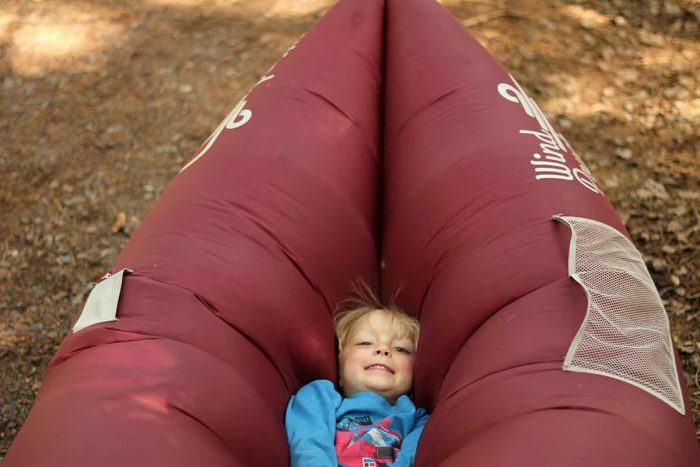 This summer’s hottest trenc so-called “inflatable hammocks,” which offer ad hoc seating anyplace in the outdoors. Give the WindPouch a sit this summer. I was impressed with the design and happy to discover a new way to take a load off in the outdoors. If you are interested in carrying WindPouch in your store drop us a line.